Since gold painting doesn't favor shading very much, I tangled PARTIALLY with gold -- check out my new ebook Tangling with Gold -- and partially with traditional shading techniques. 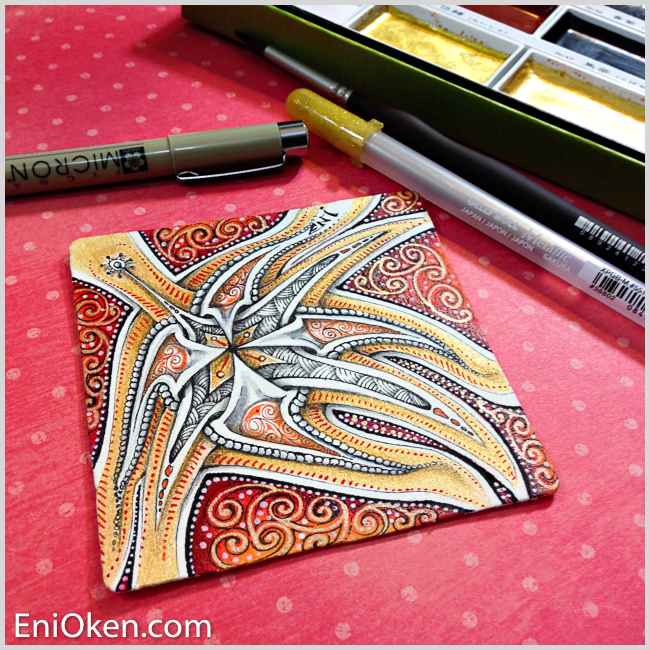 The tangles used were: Stella (Jana Robertson), Ibex (Zentangle, Inc) and Baton (Carole Ohl). 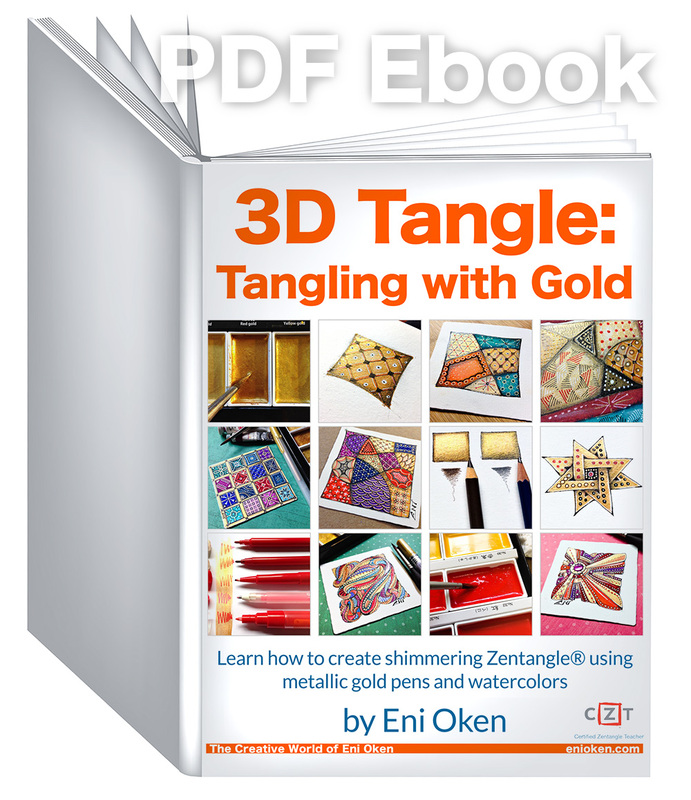 The gilding techniques used were the same as found in my 3DTangle: Tangling with Gold ebook.